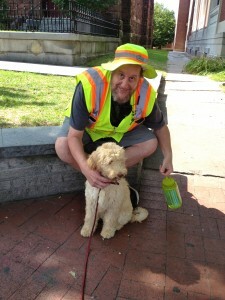 “Most important of all is to expose the pups to as wide a variety of people as possible—people of differing ages, sizes, skin color, and dress.” According to AKC. It is actually quite easy to meet this many people when you have an adorable puppy by your side! Our puppies leave here at 9 weeks so that gives you, according to this, 3 weeks for your puppy to meet this many people. 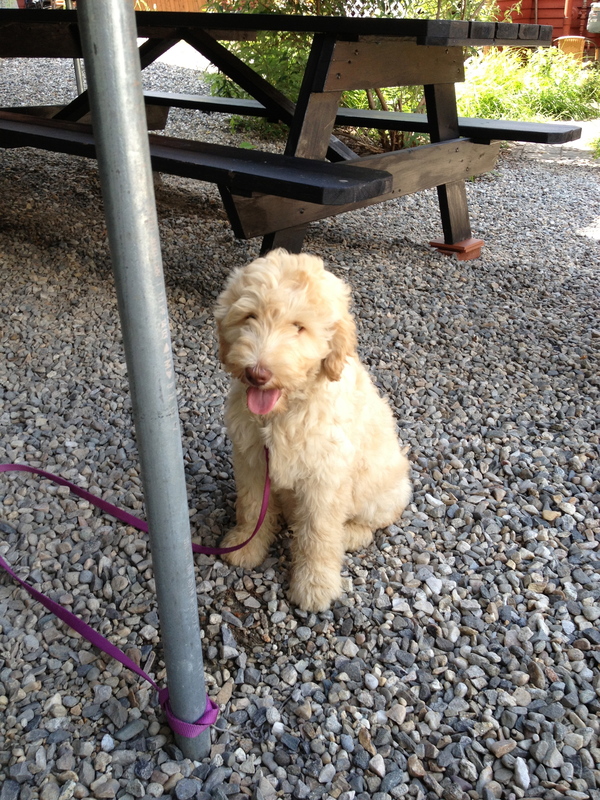 Fortunately our puppies leave here having met about 40-50 new people! Just as important is to have your puppy go to many new places. 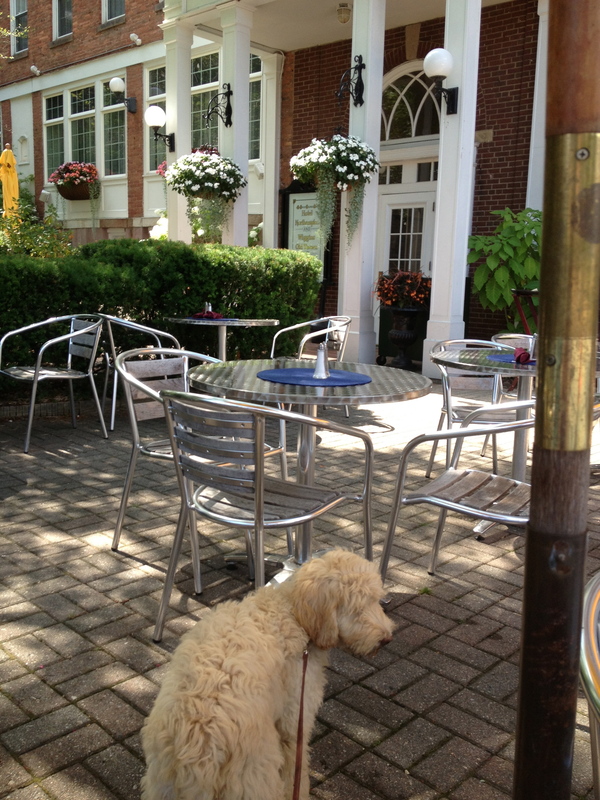 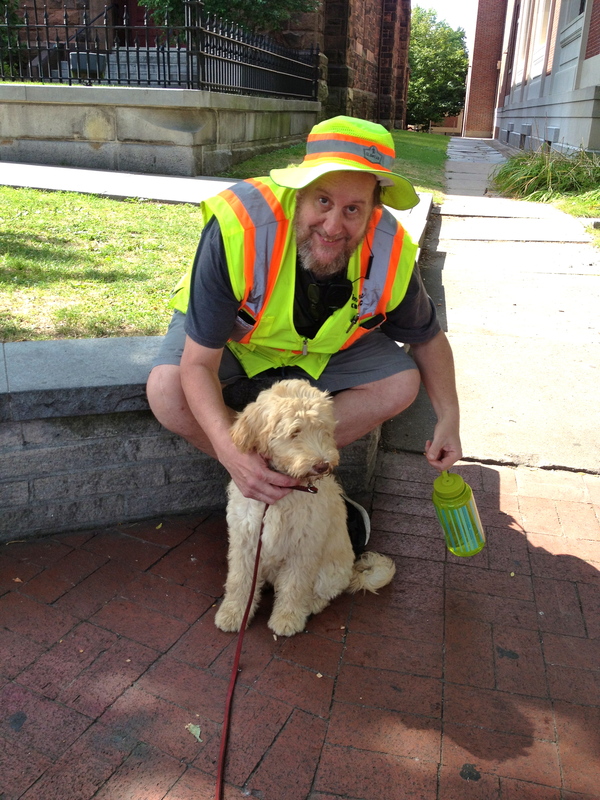 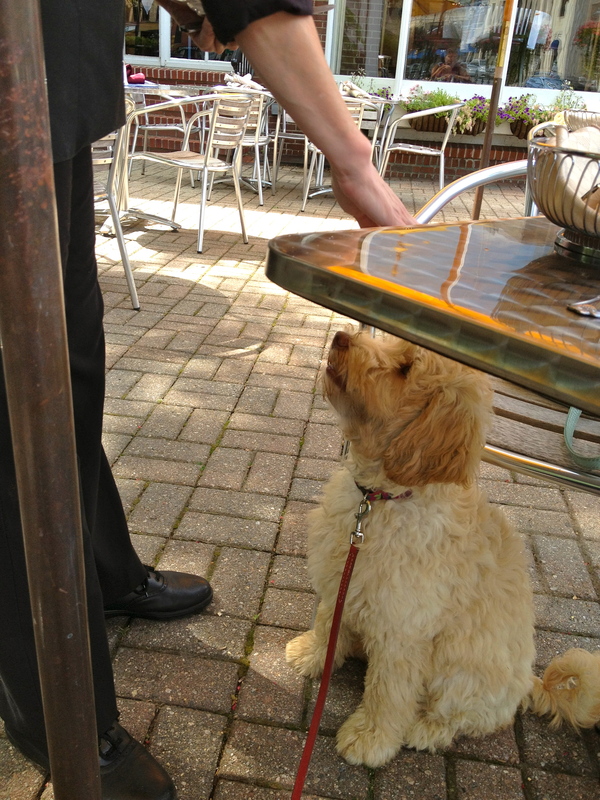 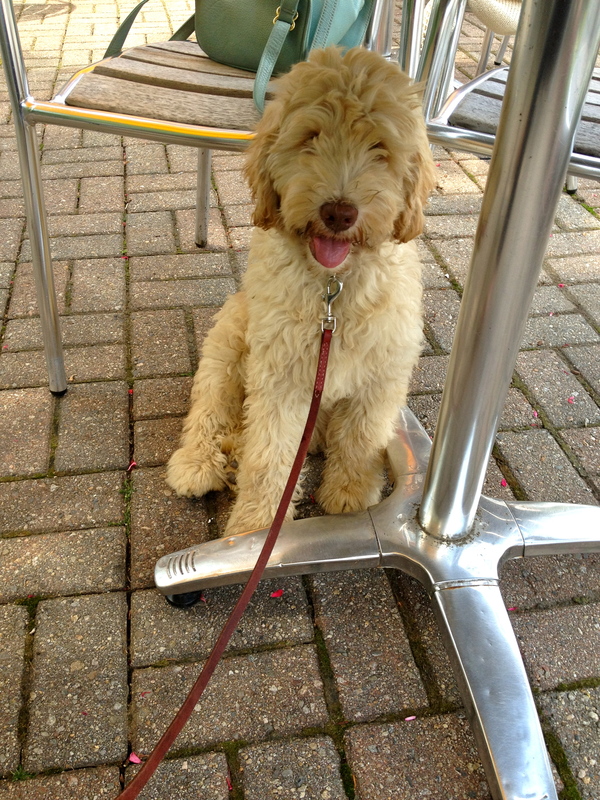 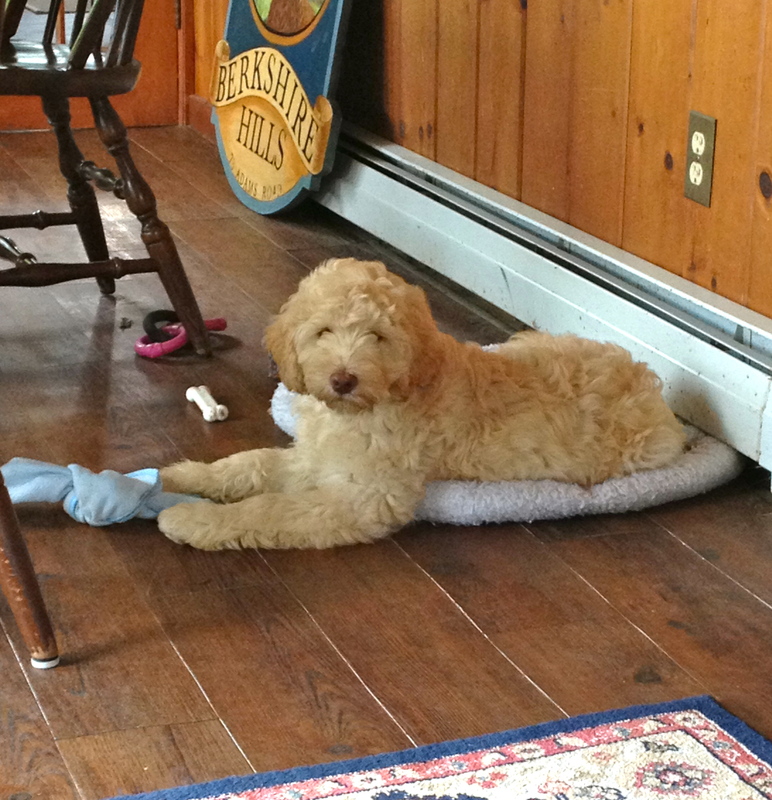 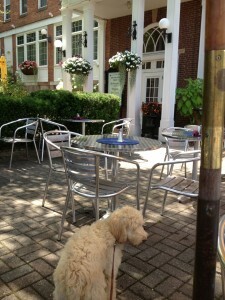 Lately 4 month old Celeste (an Eleanor puppy) and I have been hanging out at cafes, my new summer office!